I’ve been trying to learn a little more about my husband’s Williams family who lived in the area of Kentucky where Caldwell, Christian, and Hopkins counties meet. I know from Pearl’s death certificate that his parents were given as James WILLIAMS and Lou DUNNING. Unfortunately, I have not been able to find anything on them in the censuses (Pearl would likely be living with them in 1900 as he didn’t marry until 1905—but I can’t find them!). Working with the name James Williams across three Kentucky counties is not easy. But today, I managed to find a marriage index entry on Ancestry for a James Williams and a Luwandy Dunning, who married in 1873 in Hopkins County. Seems promising; Luwandy could equal Lou, right time, right place. So I plan to obtain a copy of the marriage record and see what clues it might hold. 1. Christian County, Kentucky, Christian County Marriage Records, 1797-1971, 16: 28-29, Williams-Boyd; FHL microfilm 1,942,960. 2. "Williams-Boyd, Young People of Near Empire Married This Week," Hopkinsville Kentuckian, 2 September 1905, p. 2, col. 2; digital images, Chronicling America (chroniclingamerica.loc.gov : accessed 16 April 2013), Historic American Newspapers. 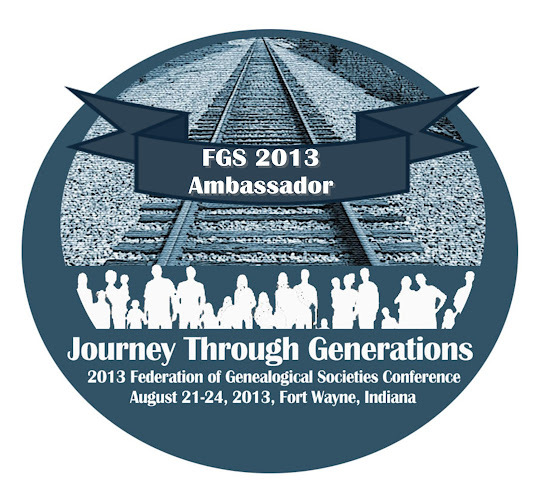 Genealogy By the States is a theme created by Jim Sanders over at the Hidden Genealogy Nuggets blog. Thanks for the great reminder to use multiple sources when researching! No problem, Angie! I think we all need those reminders periodically...keeps us on our toes!